Purgatory Resort Lodging is your home away from home - offering slopeside, resort area, and mountain community lodging in a spectacular high-country setting. Formerly known as Durango Mountain Resort, the resort is located an easy 1/2 hour drive from historic downtown Durango and is situated in the beautiful San Juan National Forest overlooking the Needles Mountains. Escape to a retreat that is known for its spectacular mountain scenery and incredible Colorado bluebird skies and weather. Come experience all that the Durango area has to offer.Unique lodging at Purgatory Resort, Cascade Village, and Tamarron are sure to fit your needs and your budget. The three properties are conveniently located off Highway 550 N, right on the San Juan Scenic Byway and Million Dollar Highway.Just a short drive from Purgatory Village, Cascade Village and Tamarron are the historic towns of Durango, Silverton, Mesa Verde National Park, and more. Purgatory Resort Lodging is your home away from home – offering slopeside, resort area, and mountain community lodging in a spectacular high-country setting. 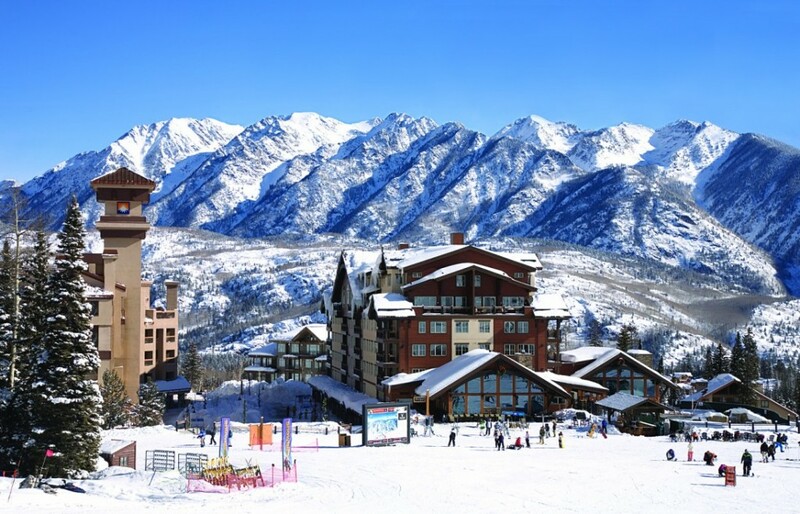 The resort (formerly known as Durango Mountain Resort), is located an easy 1/2 hour drive from historic downtown Durango and is situated in the beautiful San Juan National Forest overlooking the majestic Needles Mountains. Escape to a retreat that is known for its spectacular mountain scenery and incredible Colorado bluebird skies and weather. Come experience all that the Durango area has to offer. Unique lodging at Purgatory Resort, Cascade Village, and Tamarron are sure to fit your needs and your budget. The three properties are conveniently located off Highway 550 N, right on the San Juan Scenic Byway and Million Dollar Highway. Just a short drive from Purgatory Village, Cascade Village and Tamarron are the historic towns of Durango, Silverton, Mesa Verde National Park, and more. A luxury 2100 square foot - 3 bedroom 2 1/2 bath town home with 2 car garage. The unit has a king bed in the master, queen in the second and twin in the third. Full kitchen, dining and living area with sleeper sofa, fireplace, and balcony. The unit also offers a washer & dryer. Cascade Village offers great value and beautiful mountain scenery just 2 miles north of the Durango Mountain Resort Village. The Nugget Studio offers a Queen bed, kitchenette, fireplace, balcony and full bath. Cascade Village has Indoor Pool and Jacuzzi, 2 outdoor soaking tubs and barbecue grills available. Also, on-site coin laundry. Cascade Village offers great value and beautiful mountain scenery just 2 miles north of the Durango Mountain Resort Village. The one bedroom unit offers a King or Queen in the master, queen sleeper sofa in the living area, full kitchen, dining area, fireplace, balcony and full bath. Cascade Village offers great value and beautiful mountain scenery just 2 miles north of the Durango Mountain Resort Village. The Studio Loft unit offers a Queen bed in an open loft, queen sleeper sofa in the living area, kitchenette, dining area, fireplace, balcony and full bath. Cascade Village offers great value and beautiful mountain scenery just 2 miles north of the Durango Mountain Resort Village. This three bedroom unit offers a King or queen in the master, queen or two twins in the second, king or queen in the third, queen sleeper sofa in the living area, full kitchen, dining area, fireplace, balcony and 3 full baths. Cascade Village offers great value and beautiful mountain scenery just 2 miles north of the Durango Mountain Resort Village. This three bedroom unit offers a King or queen in the master, queen or two twins in the second and a king or queen in the third, queen sleeper sofa in the living area, full kitchen, dining area, fireplace, balcony and 3 full baths. Cascade Village offers great value and beautiful mountain scenery just 2 miles north of the Durango Mountain Resort Village. This two bedroom unit offers a King or queen in the master, queen or two twins in the second, queen sleeper sofa in the living area, dining area, full kitchen, fireplace, balcony and 2 full baths. Cascade Village offers great value and beautiful mountain scenery just 2 miles north of the Durango Mountain Resort Village. This two bedroom unit offers a King or queen in the master, queen or two twins in the second, queen sleeper sofa in the living area, dining area, fireplace, balcony and 2 full baths. Queen bed in the master, queen sleeper sofa in the the living area and a trundle bed or two twins in an open loft The unit has 1 3/4 baths, full kitchen, fireplace and balcony. Sleeping accommodations for up to 10 people. May have all queens or a combination of queens and bunks. The unit has a full kitchen, dining area, fireplace, balcony and 2 full baths. This unique 3 bedroom penthouse is located in the Kendall building with easy access to the slopes, all activities and the plaza. It has a king-sized bed in the master bedroom, a queen-sized bed in the second room, a set of bunk beds (full/and twin on top), hot sauna located in the room, a sleeper sofa in the living room, a full kitchen, and two decks (one with hot tub, and a gas grill on the other) creating the perfect location for views of the slopes and the plaza. 1500 square feet. Spacious king bedded rooms offer convenience and value to singles and couples. Cozy studios include a queen-size pull down Queen Murphy bed, fireplace, a full bath, balcony, dining area, and kitchenette including: mini-fridge, two burners, coffee pot, toaster, and microwave. Cozy studios include a queen-size pull down murphy bed, fireplace, balcony, dining area and kitchenette including: mini-fridge, two burners, coffee pot, toaster, and microwave. Our more spacious Studio for 4 features a dividing partition between the murphy bed and the queen size sofa sleeper. Perfect for families and children, this unit offers two full bedrooms with a king or queen bed, two full bathrooms, and a sleeper sofa in the living room. Added features include a wood burning fireplace, dining room, balcony and a fully equipped kitchen. 2500 square foot 4 bedroom, 3bath, 2 car garage single family log home. King, king queen and 2 twins. Full kitchen, dining and living area with sleeper sofa, fireplace and balcony. King or 2 Queens, sleeper sofa, kitchenette, dining area and full bath. Main Lodge Location - Approx. 550 Sq. Ft.
Downstairs: 1 Queen Bed and/or Sleeper Sofa, Kitchenette, Dining Area and a Full Bath. Upstairs: Loft with 2 Twin Beds or 1 Queen. Amenities include indoor/outdoor pool, spa, Jacuzzi's and conference center. 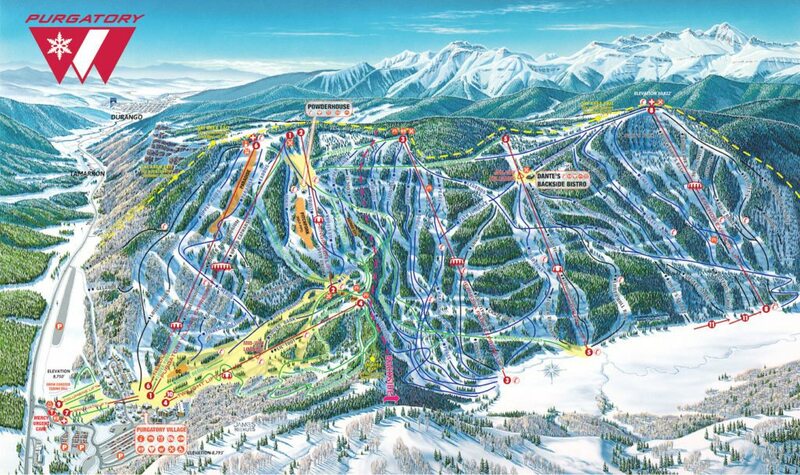 Tamarron is conveniently located 8 miles south of Durango Mountain Resort and 15 north of Durango. 4 Bedroom Residence (2,000+ Square Feet) Four bedrooms, four bathrooms, kitchen, dining area, and living room. Layout is perfect for large families or multiple families sharing the unit. Complete with fireplace, balcony, and washer/dryer. This Luxury ski-in/ski-out property is the anchor of the new Purgatory Village featuring upgraded skier services and a new Purgy's Day Lodge. 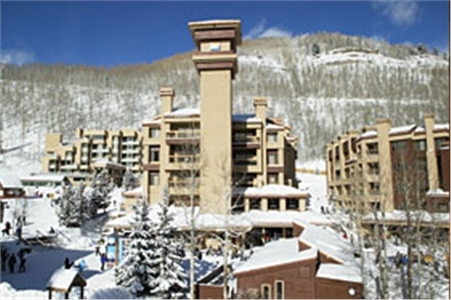 All units have unparallel views of the ski area, Needles Mountains or Purgatory Village. Units are complete with luxurious appointments including granite countertops, tile floors, gas fireplaces, flat screen TV's, balcony, wireless internet and washer/dryer. Guests of Purgatory Lodge enjoy access to our concierge service, pool and spa, fitness center, Cabana bar and Ski Valet. Bedding configuration in the 4 bedroom is (2) king beds, (1) queen bed and (1) trundle bed. 4 Bedroom Residence (2,000+ Square Feet) Private Residence Club unit with full access to the private residence. Four bedrooms, four bathrooms, kitchen, dining area, and living room. Layout is perfect for large families or multiple families sharing the unit. Complete with fireplace, balcony, and washer/dryer. 3 Bedroom Residence (1,642 Square Feet) Three bedrooms, three bathrooms, kitchen and large dining room/living room area. Complete with fireplace, balcony, and washer/dryer. 2 Bedroom Residence (1,314 Square Feet) Two bedrooms, two bathrooms, kitchen and large dining room/living room area. Complete with fireplace, balcony, and washer/dryer. Located on Highway 550 N, about 26 miles north of Durango, Colorado, and 22 miles south of Silverton, Colorado. Cancellation	| Winter - Cancelled outside 30 days 1 night deposit is non-refundable. Winter Holiday - Cancelled outside 30 days 2 nights deposit is non-refundable. Cancelled Inside 30 days reservation is non-refundable. Summer - Cancelled outside 24 hours $26 processing fee. Cancelled inside 24 hours 1 night deposit is non-refundable. Summer Holiday Cancellation outside 30 days 2 night deposit non-refundable. Deposit	| Non-Holiday - 1 night deposit at time of booking, final payment is due 30 days prior to arrival. Holiday - 2 nights deposit at time of booking, final payment is due 30 days prior to arrival. Check In	| 4PM - Check in for Tamarron and Tamarron, Check in for Purgatory Village, Cascade Village and East Rim at the Purgatory Lodge. Other	| Winter - Cancelled outside 30 days 1 night deposit is non-refundable. Winter Holiday - Cancelled outside 30 days 2 nights deposit is non-refundable. Cancelled Inside 30 days reservation is non-refundable.